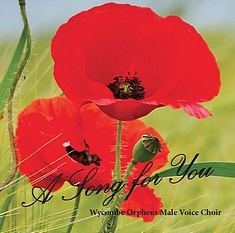 The tracks on this CD were recorded over two Saturdays during October 2014 in Wesley Methodist Church, High Wycombe, which is the home of the Wycombe Orpheus Male Voice Choir. This venue, as well as being familiar surroundings for the Choir, has a fine acoustic allowing the rounded sound of male voice singing to be heard at its best. The picture on the CD sleeve has been taken from the Choir’s Annual Concert Programme for 2014 which took as its theme the anniversary of the commencement of hostilities in the First World War. A medley of songs of the time is included on this CD. 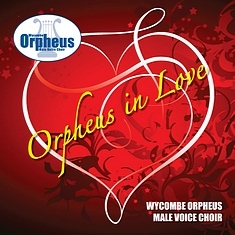 This delightful compilation album features many songs recorded since 1996 by the Wycombe Orpheus on the theme of Love - all digitally remastered for maximum quality. Listen to Nessun Dorma - atmospheric, and sung in English rather than Italian; or Softly as I Leave You, perhaps one of the most recorded popular love songs of all time. This, and our earlier CDs, can be purchased at concerts, via choristers, or phone Peter Parsons on 01296 - 612777. 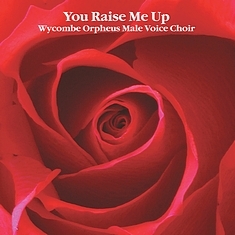 "You Raise Me Up" was launched at our Annual Concert on 8th May 2010. Recorded at Wycombe Abbey, this contains something for everyone, with many famous and popular songs given the "Orpheus Sound" treatment. Album details follow, and you can sample the title song by clicking on the highlighted link for Track 15.